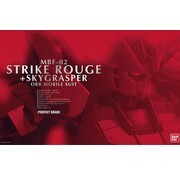 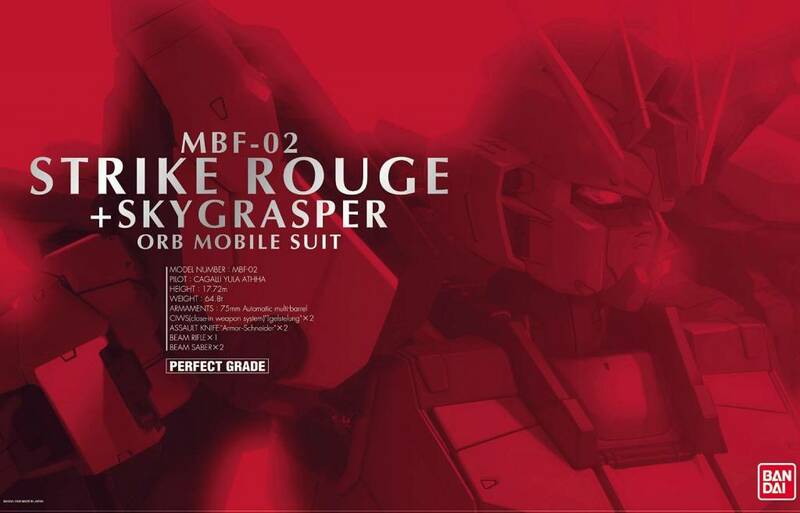 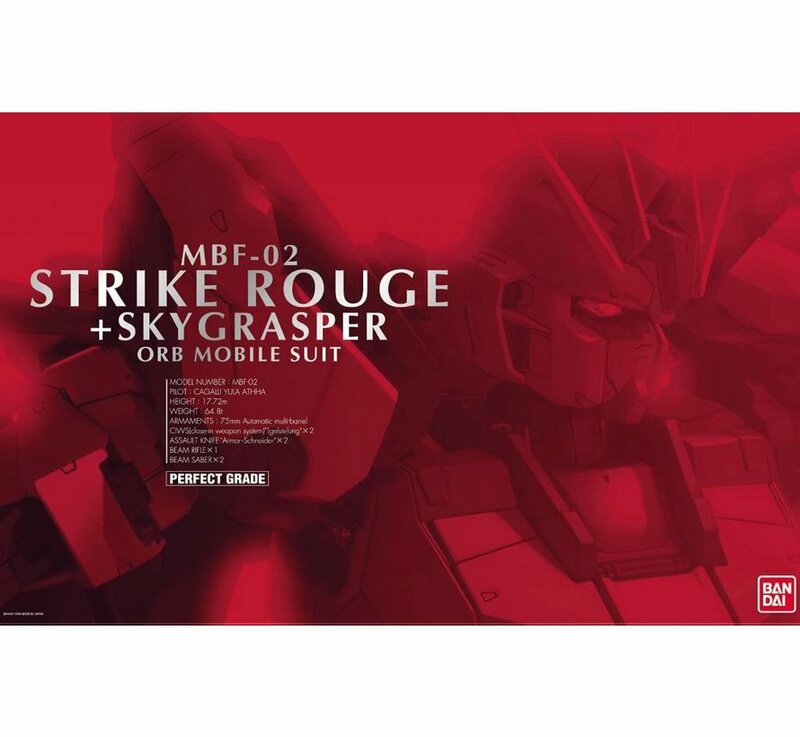 This is a Strike Rouge + Skygrasper "Gundam SEED", Perfect Grade Action Figure Plastic Model Kit by Bandai Hobby. 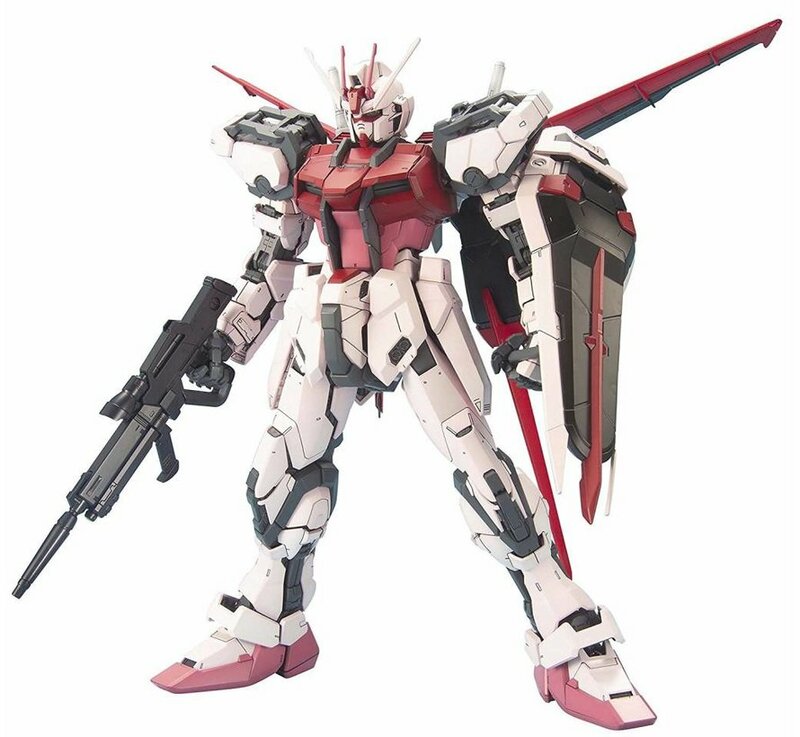 - Cagalli’s new, recolored version of Mobile Suit Gundam SEED’s Strike Gundam! - Amor Schneider assault knives have adopted a multi-color molding, requiring assembly, but provides the closing gimmick. 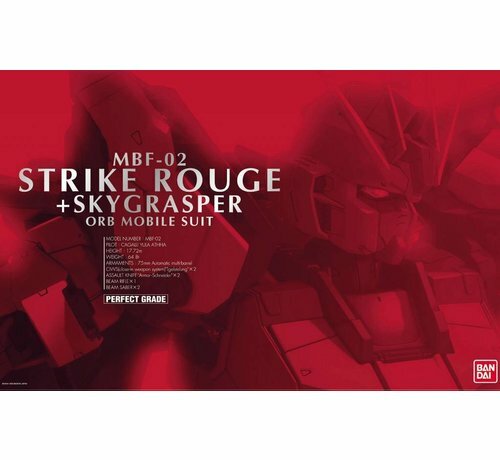 - Includes accompanying marking decals to give the Strike Rogue its trademark markings.